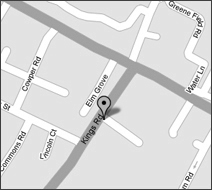 Kings Road Dental Practice was established in 1980 and was purchased by Mike Reevey in 1991. Since then we have undergone three major refurbishments in order to ensure that we can now deliver an exceptional dental experience to our patients. In keeping with Department of Health guidelines we have recently installed a sterilization suite in the Practice with state of the art washer disinfector and sterilization equipment. We are proud to be have achieved ‘best practice’ status in this regard. In registering with the Care Quality Commission, our systems and protocols for Health and Safety, Cross Infection Control, and patient care are rigorously tested. We always use as many disposable items as possible in all treatments we provide. This includes patient bibs, needles, impression trays, gloves, cups, and also many single use instruments including root canal files. All items that are not disposable are autoclaved in keeping with our strict cross infection control policy. All our equipment is regularly serviced and maintained. This includes not just the X-ray, compressor and autoclaving equipment which are regularly tested and have current safety certificates, but also the fire extinguishers, fire alarms and safety lighting. We are always happy to answer any concerns regarding our equipment and safety procedures. Our practice -based systems ensure that we meet high standards of dental care and clinical governance consistently. All the dentists and nursing staff are committed to on- going postgraduate development and complete the statutory requirement of further training every year expected by the General Dental Council.